Vikas advises leading players in the Healthcare sector on growth strategies, operational effectiveness and digital transformations. 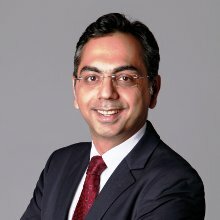 Vikas is a Partner with Arthur D. Little, based in Dubai, and leads the Healthcare & Life Sciences practice in the Middle East. Over the past few years, Vikas has been working with several leading Healthcare service providers in the Middle East and Asia on their growth and expansion strategies. In his current and previous roles, Vikas has also worked with Hospital operators on improving their operations effectiveness while enhancing patient experience. Vikas also works extensively with clients, advising them in their digitalization strategies and leveraging technology to improve both patient experiences and operational effectiveness. Vikas has been the author of several articles on diverse topics related to digitalization in Healthcare & the life sciences industry and has presented at several industry events.